The Saw Kill Watershed Community (SKWC) protects the Saw Kill watershed and its ecological, recreational, and historic resources through hands-on science, education, and advocacy. 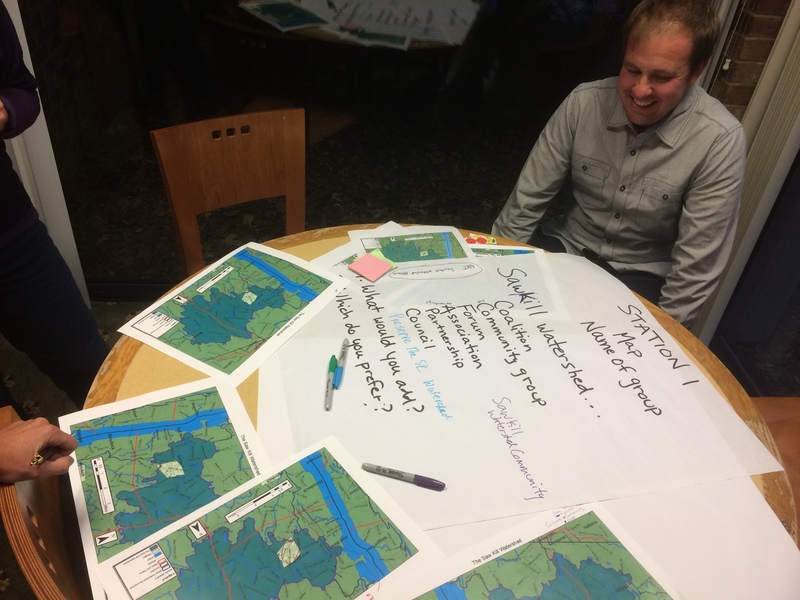 The Saw Kill Watershed Community was formed to unite folks who reside and work in Milan, Red Hook, Rhinebeck, and Annandale-on-Hudson who are interested in the protection and management of the Saw Kill and its watershed. Our group is made up of farmers, scientists, students, educators, sportsmen, historians, conservationists, municipal leaders, and many others (see our SKWC People page!). We have monthly meetings not only to discuss our progress but also to get input from members from the community on where help is needed and what we can do. Please join us in this community effort! Bard College helped to catalyze the creation of the SKWC with a stakeholders meeting in June 2015. We brought together community members living in the watershed, members of the conservation advisory councils of the Towns of Red Hook, Rhinebeck, and Milan; Bard College professors, staff and students; local, county, and state officials; representatives of the Hudson River National Estuarine Research Reserve, the Hudson River Estuary Program, and Cornell Cooperative Extension (Dutchess); and several nonprofits, including Riverkeeper, Scenic Hudson, and the Hudson River Watershed Alliance. We would like to thank the New York State Environmental Protection Fund (Hudson River Estuary Program), the Hudson River Foundation, and Bard College for their generous support in the development of this group and the monitoring program. We are an action-oriented group whose efforts are divided into four main teams: Science, Education, Stewardship, and Municipal. Each team works on their own projects that are in some way related to the management of the Saw Kill watershed. We are looking for volunteers and any kind of involvement is greatly appreciated! For a complete list of our activities and volunteer opportunities, click here. To get up to date on our recent accomplishments, click here. To see a slide show of some of our citizen science, education, and stewardship activities from our first full year (2016), click here. View our SKWC Brochure here. If you have information or questions about scientific research, education, stewardship, and municipal projects on the Saw Kill or its watershed, please email us at sawkillwatershedcommunity@gmail.com.